From the basic software to the complete AV system in combination with the high-quality workstation 'EventCore' and the special remote control 'EventCommader', EventDriver AV has been proven at renowned theaters, radio and TV stations. EventCore is the high-quality workstation of the EventDriver AV complete system, that meets your requirements for a strong, reliable and quiet studio system. Proven at renowned theaters, radio and TV stations. You profit from our know-how. 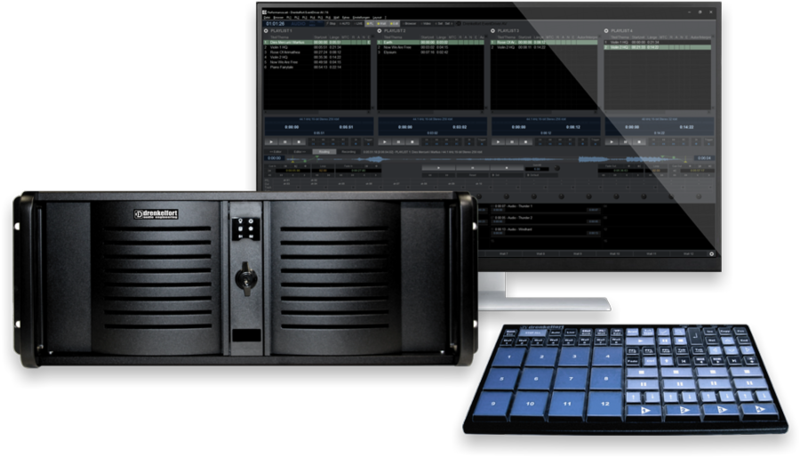 The remote control 'EventCommander v2' allows you to have instant access to all functions that must be available quickly during the show or rehearsal.